Gameloft's console-style war game series Modern Combat is back with an update for its fourth installment. Modern Combat 4 Zero Hour latest version 1.2.0f (Dec 30, 2015 update) doesn't bring much to the game except for some bug fixes. You can download the APK and try it for yourself! For those unfamiliar with the game (I doubt there are any), MC4 is a first person shooter with excellent graphics, cinematics, varied weapons, and a huge open world, plus a robust multiplayer mode! You can play offline unlike MC5, the latest chapter in the series. 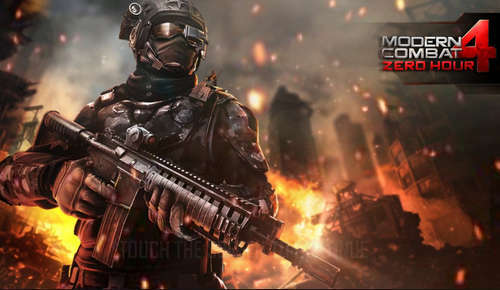 The Modern Combat series is somewhat the mobile equivalent of Modern Warfare, and it's reached its highest console-quality point with MC4 Zero Hour. 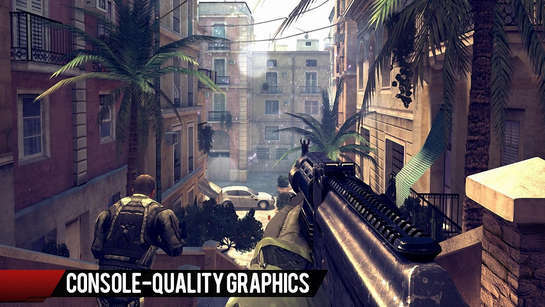 The graphics are bar none compared to other major action games on the Play Store. The action is endless and really immersive, and the multiplayer system is really powerful! 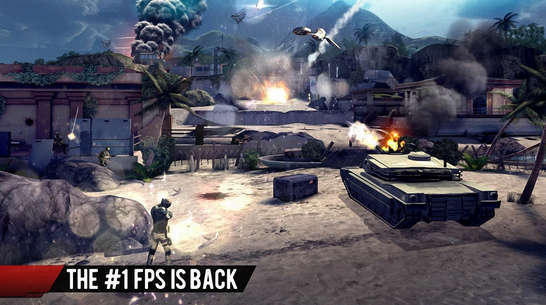 Modern Combat 4 is an FPS unlike any we've seen in a long while. It boasts a strong story with stunning cinematics. The story picks up where Modern Combat 3 left off, and splits its time between a number of protagonists. You spend most of the game as a US marine called Blake. You go on missions (as the "good guys" or the villain Edward Page) and most of what you do involves heavy shooting action. You can download the full APK of Modern Combat 4: Zero Hour 1.2.0f with full game data files for Sd card from the links given below. After you've installed the game, the actual shooting part in MC4 is great. There's plenty of action and the weapon selection is everything you'd expect. You have to learn to take cover, flank, and watch where your squad mates are. You can choose to play in campaign mode, or join a multiplyer mode, both have non-stop action taking you through a variety of real world locations (such as Hawaii, Barcelona,etc). The control scheme in Modern Combat 4 Zero Hour is highly customizable. You can change the control layout the way you like. It is truly AAA in scope and presentation. It's just a shame that it is still lacking decent AI routines for enemies and the voice acting it deserves.